Homepage / ADVICE / Which Headpiece Should You Wear? Which Headpiece Should You Wear? 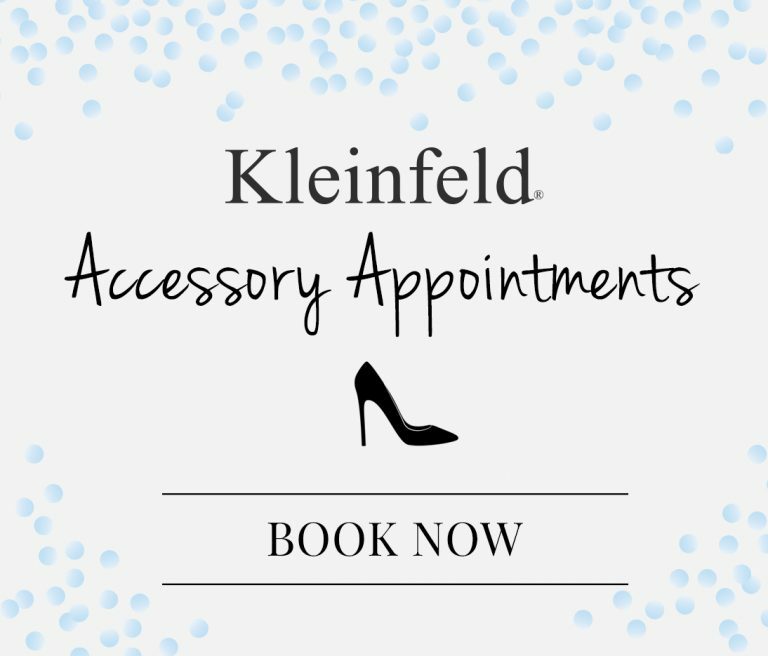 If you haven’t had the chance to visit our Accessories Department at our flagship salon, you might not know that we carry over 25 jewelry, headpiece, shoe and veil designers and hundreds of different ways to accessorize on your wedding day. But, where do you begin? We’ve compiled the 7 different ways you can accessorize your bridal hairstyle—now it’s just a matter of picking the right look for you! First and foremost, let’s talk about the veil. If you’re looking to wear a veil down the aisle, the first thing to do is choose a style that best matches your personality and complements your wedding dress (think ivory vs. white, lace vs. tulle etc.). 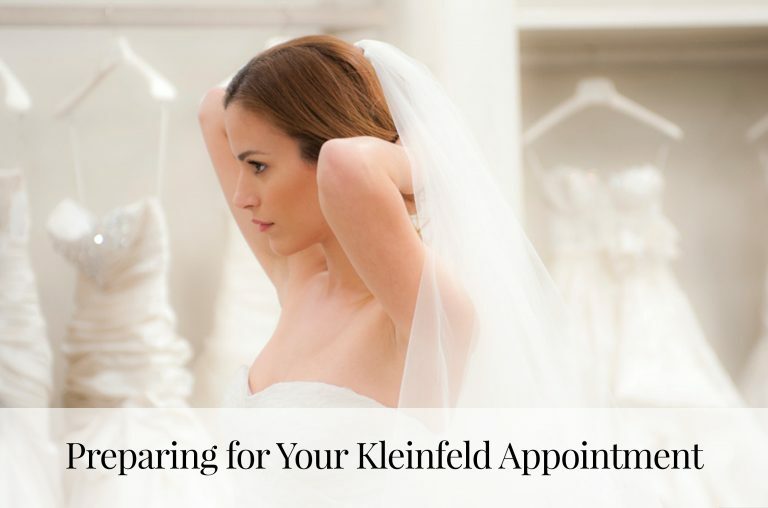 Here at Kleinfeld, we offer cathedral, chapel, elbow and fingertip lengths as well as blushers, cage veils, mantillas and two tier varieties. 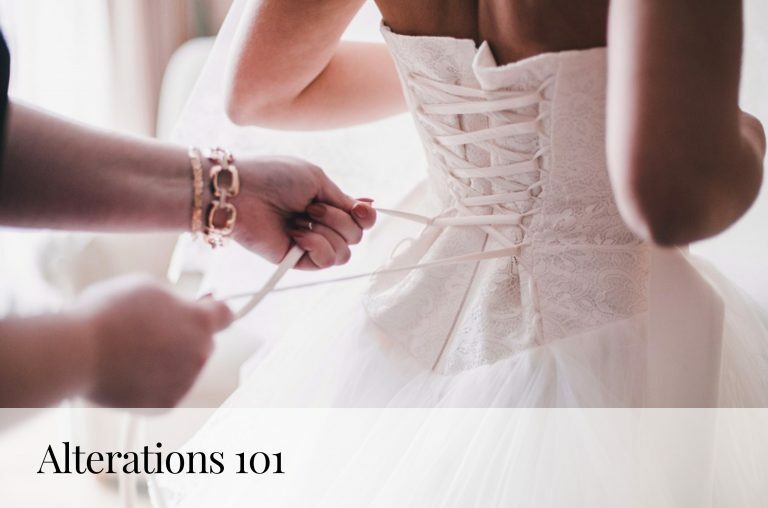 Sounds like a mouthful but don’t get overwhelmed—check out this veil guide to learn all about these different styles. When it’s time to shop, your accessories consultant will help you choose the right veil for you. A headband is a structured piece—it sits behind your ear and only goes half way around your head. Headbands are a great option if you plan to wear your hair down, as your hair will cover the part of the headband without any embellishment. A halo is similar in appearance to a headband but sits differently on your head—rather than being tucked behind your ears, a halo goes completely around the head. Halos have an angelic, ethereal, bohemian feel to them and come in a wide variety of widths and metals and well as adorned with different types of crystals, flowers—you name it. Combs come in sizes ranging from teeny to large (and everything in between). Place one behind your ear, double up to pull your hair back on both sides, or accent your up do with a comb. A crown sits on top of your head, with gems and crystals around the entire headpiece. This option gives your wedding look a royal and stately feel, and is great for a black or white tie wedding. Tiaras sit on top of your head, with gems and crystals situated towards the front of the headpiece. A tiara is perfect for the bride who might want to wear a crown, but doesn’t quite want to commit to a larger and heavier headpiece. Tiaras also give off a romantic, royal feeling similar to the crown but are versatile enough for a variety of different wedding themes. A vine is malleable and usually made of a thin metal, meaning it can be shaped anyway you would like it. Wear it in a halo style, like a headband, wrap it around your bun—there are so many options for this versatile piece! Still need some inspiration? Check out 3 ways to style your hair on your wedding day with headpieces, below.